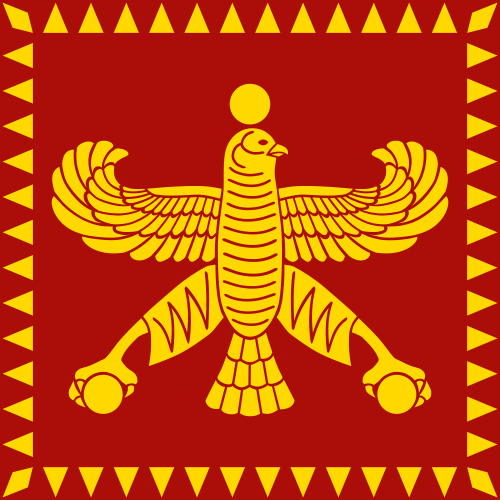 The Achaemenid Persian dynasty is probably one of the best known not just inside the History of Iran but within the whole Antiquity. In his Alcibiades Plato wrote that Haxāmanish, the family founder, was actually son of the hero Perseus, which was himself the son of Zeus. That is the reason for the dynasty of Kurush II to be known as “Persian”. But some of these kings are not as famous as others and sometimes the order and dates between then can be confusing. Therefore, here is a short list with all the kings reigning over the territory known as “Persia” from the 8th century until the arrival of Alexander the Great in 330 BCE. For this list, we have only included crowned kings, but princes and secondary governors have been left aside. In addition, the original names —with the Old Persian, Elamite and Babylonian variations— have been maintained in bold and the westernised versions which they are normally known by are in brackets. This is just an attempt to present these characters as they truly were since many of the information from the Persians has arrived through Greek sources. These four following kings are unattested, but according to the remaining sources it can be deduced they were satraps ruling territories belonging to the Neo-Assyrian and Median empires. 1. Haxāmanish (Achaemenes) is the person who gives the name to the dynasty. His name is formed with the words haxā, “friend”, and manah, “thinking power”. According to the inscriptions found at the archaeological site of Behistun and the data gathered by Herodotus, Haxāmanish would be the father of Chishpish and ancestor of Kurush II and Dārayavaush I. If he was a historical character, he would have probably lived between the end of the 8th century and the beginning of the 7th century BCE. However, Kurush II provides with no details about him in his genealogy although he calls himself “Achaemenid”. Most probably Haxāmanish was a figure of mythical ancestry who didn’t really existed but legitimised politically the dynasty. 2. Chishpish (Teispes, c. 675-640 BCE), the son of Haxāmanish and the father of Ariyāramna, great-grandfather of Dārayavaush I. Chishpish appears only mentioned in the biography of Dārayavaush I. 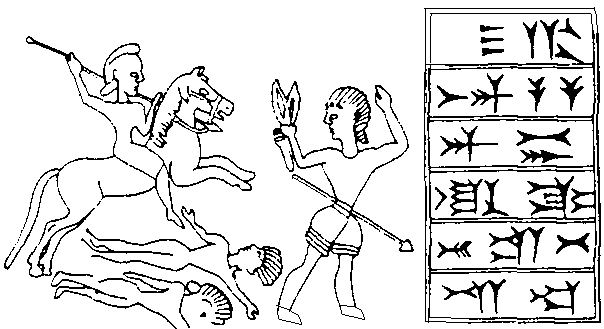 In the famous Cylinder of Kurush there is written a variation of the name, Shi-ish-pi-ish; this name appears to be linked with the same character as it is described as the great-grandfather of Kurush II with titles such as “great king of Anshan”. About this king, very little is known but he probably was a vassal of the Elamite Empire who expanded his dominions through the 7th century conquering Anshan and Pārsa. 3. Kurush I (Cyrus I, c. 600-580 BCE) of Anshan or Persia. Probably the son of Chishpish and grandson of Haxāmanish who split his father’s enlarged kingdom with his brother Ariyāramna who ruled Pārsa, whereas Kurush I reign over Anshan. It seems to be also identified with another monarch of the time, Kuras of Parsumas, as he appears mentioned in Neo-Assyrian sources. 4. Kambūǰiya I (Cambyses I, c. 600-559 BCE) the Elder. He is the younger son of Kurush I and the father of Kurush II. About his life, nothing is preserved that was written when he was alive, thus the most truthful sources being the inscriptions of Kurush II at his Cylinder. According to Herodotus and Xenophon Kambūǰiya I was not actually a King but a member of an influent family who married Mandana, the daughter of the Median King Astyages, and therefore he is considered a monarch. However, he never took over his father-in-law’s position as he stayed ruling over Anshan under the services of the Median empire. 1. Kurush II (Cyrus II, c. 600-530 BCE) the Great or the Elder, “Governor of the Four Corners of the World”. Kurush II is probably the most famous figure inside the Achaemenid dynasty for creating the first great Persian Empire and the biggest known at that time, from the Mediterranean Sea to the Indus Valley. 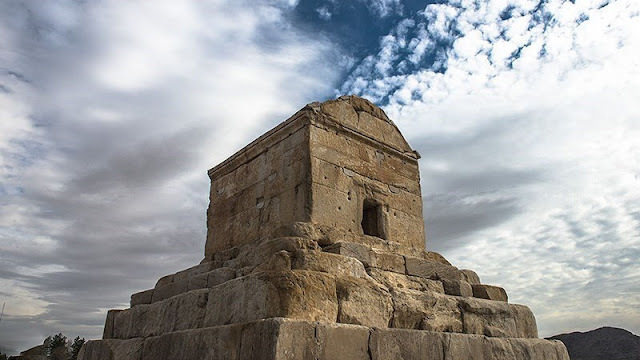 Kurush II established a ruling system through satrapies and moved the capital to Pasargadae where his tomb still remains. From the decade of 1970 onwards, the artefact known as the Cylinder of Cyrus, a text given to the city of Babylon after its conquest, was considered the first Human Rights declaration of History. However, this is not accurate and there are many contradictions in that statement. 2. Kambūǰiya II (Cambyses II, r. 530-522 BCE), son and successor of Kurush II. One of the most important conquests of this king was adding the kingdom of Egypt to the territories of the already vast Persian empire by defeating the pharaoh Psamtik III. During the reign of his father and after the conquest of Babylon Kambūǰiya II was named sovereign of the city, so he appears praised in the famous Cylinder alongside his father. Herodotus collected a legend about a certain army lost by the Persian king. According to his account, Kambūǰiya II had sent around 50.000 soldiers to the oracle of Amun at Siwa (Egypt), but when they were crossing the desert a sandstorm buried the army and they could never be found. In 2009 an archaeological mission found human, textile and military pieces of evidence under the sand, so perhaps there was some truth behind the legend. 3. Dārayavaush I (Darius I, c. 550-486 BCE) the Great. This sovereign left many written sources at his time being the most important the relief at Behistun written in Old Persian, Elamite and Babylonian. The script starts with a long genealogy that connects him with the founder of the dynasty, Haxāmanish. It also narrates how Dārayavaush I acceded to the throne by defeating the usurper Gaumāta. He established a new economic system with a new coin (the daric) and Aramaic became the official language of the empire. He also promoted the construction of roads to connect the separated parts of the territory. As a curiosity, many representations of Dārayavaush I are preserved in Egypt that show him as a pharaoh, as his presence there was of high relevance. 4. Xshaya-ṛshā I (Xerxes I, 519-465 BCE) “the one ruling over heroes”. This is the king identified as Ahasuerus in the Book of Esther, at the Bible. The most famous episode for which Xshaya-ṛshā I is known is his battle against the armies led by king Leonidas at the Thermopiles. However, it is not often told that after defeating the Spartans Xshaya-ṛshā I reached Athens and destroy it, burning everything to the ground. After his campaigns in Greece, he came back to Persia to finish the architectonical projects started by his father: the Gate of All Nations and the Apadana of Persepolis. Xshaya-ṛshā I was murdered by Artabanus, who also killed that who would have been his first successor, young crown prince Dārayavaush. 5. Ṛtaxshaca I (Artaxerxes I, r. 465-424 BCE) recovered power after killing Artabanus and his sons when he discovered him responsible for the death of his father and his older brother. His relationships with Greece met a turning point when he substituted military campaigns for economic moves, funding the enemies of Athens. After the Battle of Cyprus, Ṛtaxshaca I offered asylum to Themistocles, one of his father’s greatest enemies, and gave him some land inside his dominions so he could live there. Apparently, Ṛtaxshaca I suffered from neurofibromatosis, a disease that made two of his limbs to be longer than the other two. 6. 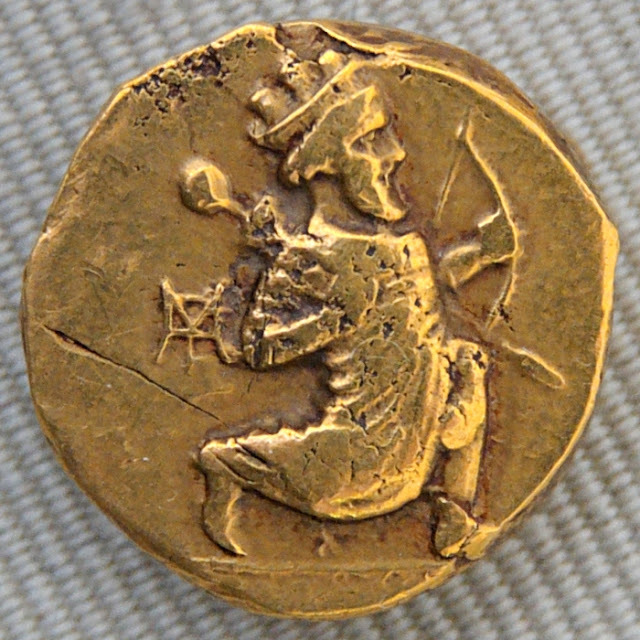 Xshaya-ṛshā II, (Xerxes II, r. 425 BCE) was the first heir of Ṛtaxshaca I. after forty-five days of ruling he was murdered by Sogdianus, an illegitimate son of Ṛtaxshaca I or so tell the accounts of Ctesias, one of the most unreliable Greek sources. 7. Dārayavaush II (Darío II r. 423-404 BCE). This prince’s first name was Ochus and apparently, he was a satrap in Hyrcania when Ṛtaxshaca I died. 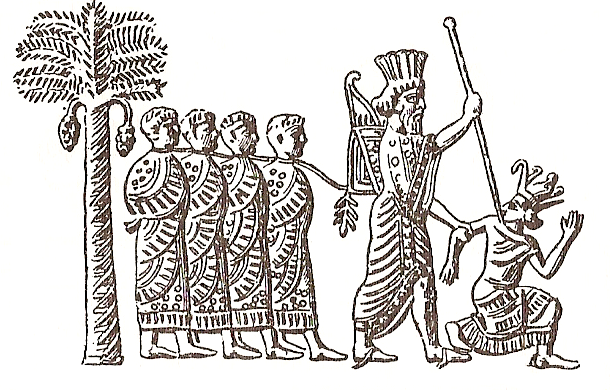 Even though the Greek sources tell that he killed the usurper Sogdianus after finding him responsible for the death of his brother, most likely the two princes proclaimed themselves as heirs to the throne of Persia and eventually Ochus was victorious, adopting them the dynastic name of Dārayavaush II. 8. Ṛtaxshaca II (Artaxerxes II, r. 404-358 BCE). Greek authors gave him the epithet of mnemon, Μνήμων, “having a good memory”. He had to defend his position as king by confronting his brother Kurush the Younger who fought him with the aid of hired Greek mercenaries. Ṛtaxshaca II dedicated much of his fortune to architectonical projects such as the restoration of the Palace of Dārayavaush I in Susa or the construction of the Apadana of Ecbatana. Apparently, he had more than 115 sons and daughters, mostly illegitimate. 9. Ṛtaxshaca III (Artaxerxes III, c. 425-338 BCE), son of Ṛtaxshaca II. He accessed the throne after his oldest brother was executed, the second one committed suicide and finally, the third one was assassinated. That was very likely the reason he murdered the whole royal family after gaining power, in order to guarantee his own security as the king. During his rule, the cult to Anahita and Mithra experimented a revival. The last years of his reign coincided with an increase of power and influence in the Macedonian kingdom in the figure of king Philipp II. 10. Ṛtaxshaca IV (Artaxerxes IV, r. 338-336 BCE). As the youngest son of Ṛtaxshaca III, no one expected Ṛtaxshaca IV to ever rule. However, when the vizier Bagoi murdered the royal family he positioned the young prince at the throne and used him as a puppet for two years. 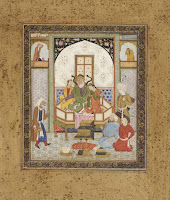 DARYAEE, T.: The Oxford Handbook of Iranian History, Oxford, Oxford University Press, 2012. HOLLAND, T.: Persian Fire. The First World Empire, Battle for the West, London, Hachette, 2011. KUHRT, A.: The Persian Empire. A corpus of Sources form the Achaemenid Period. London, Routledge, 2013. SCHMITT, R.: “Achaemenid Dynasty”, Encyclopaedia Iranica, vol I, fasc. 4, 1983, pp. 414-426. WILLIAMS JACKSON, A. V.: “The Great Behistun Rock and Some Results of a Re-Examination of the Old Persian Inscriptions on It”, Journal of the American Oriental Society, vol. 24, 1903, pp. 77–95.